In the longer exposition of the decision, S&P singled out the “political brinkmanship of recent months” as evidence that policymaking has become “less stable, less effective and less predictable.” A reader might have taken this as criticism of the House Republicans, but the statement was sufficiently vague that Republicans could take it as laying the blame on the Obama administration for not agreeing to their proposals for raising the debt ceiling. And, indeed, Mitt Romney and other Republican presidential candidates have blamed President Barack Obama for S&P’s decision. As Politico notes, those appearing to discount the danger of a default were right-wing Republicans like Representative Michelle Bachmann and Senator Pat Toomey, who are identified with the Tea Party. 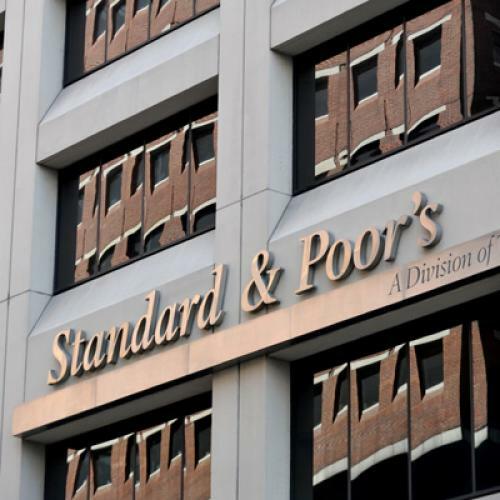 So, while continuing not to use the adjective “Republican,” the S&P director acknowledged that a major factor driving the downgrade was the utter irresponsibility and ignorance of a significant minority of Republican legislators. Why didn’t S&P say this more clearly in the original statement? I suspect it was out of a desire to appear non-partisan, but the effect was to apportion the blame equally on both parties. That is a disservice to the country because it allows a deranged faction of the Republican Party to continue to run riot in the Congress and to undermine any possible of a constructive response to the economic crisis. And S&P is not the only establishment institution to take this misguided approach. In their statements urging Congress to agree to raise the debt ceiling, the Business Roundtable praised the House’s passage of a poison pill making support for raising the debt ceiling contingent on support for a balanced budget amendment. I would guess—based upon reading Chris Nelson’s excellent K Street newsletter—that there is as much support for a balanced budget amendment on K Street as there is for the reinstitution of the gold standard—in other words, almost none at all—yet the Business Roundtable was willing to coddle the Republican right. I stand second to no one in criticizing the White House for failing to fight the Republicans, but it is worth recalling here that the principal cause of our counterproductive fiscal policy is the Republican opposition. And coming on their heels are the establishment institutions like Standard & Poor’s and the Business Roundtable that are unwilling to hold the Republicans to account.